Is it Your Fault Your Boss is a Jerk? Bad bosses happen but as Liz Ryan eloquently points out in her recent article ‘Is it My Fault My Boss is a Jerk’, until you see your part in your dismal work situation, nothing will change. You may not like to think you chose your boss, but by accepting that job and staying in that job, you actually did choose your ‘jerk’ boss. So the key is to learn from this choice to ensure it doesn’t happen again. Why does your boss matter to us? In our work as employee researchers, scenarios like this where employees hate their boss are not uncommon. 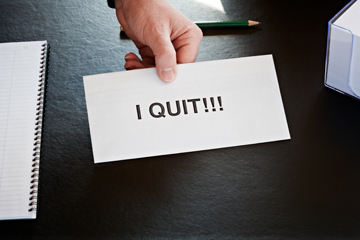 People cite horrible bosses as one of the most common reasons they quit their jobs. Bad bosses diminish job satisfaction and employee engagement which have many negative consequences on you and your workplace, so support efforts designed to help you be a happier employee. How can a victim change their own situation? Nothing in your life will ever change unless you change the way you think about your situation. As long as nothing changes you will continue to be a victim. If you commit to changing your situation and decide you will not be a victim any longer this is the first step to a better life; it begins by taking responsibility for yourself. You can decide right this moment to start looking for new jobs. You can decide you have had enough of your current job and the time has come to move on. You begin with the idea that you do not have to keep doing this job forever. You have the power of choice and you don’t have to do anything suddenly. In fact it is probably better to make a plan to quit instead of doing right now and develop an ‘escape plan’ as Ryan calls it. Start with a list of places you want to work, start looking for your next job, get your resume ready to go and plan ahead. The more effort you put into that plan to make it happen the less power your boss will have over you and the more in control you will feel. If you decide to stop working for someone who treats you badly and your best option is to leave, we hope that you will be given the opportunity to let your employer know with an Exit survey. We have found this to be the best and most effective way for employers to know why you are honestly leaving so that they can be aware of the problems you were having and that others may potentially be having as well. The last thing your organization wants is to lose good people like you so it is better they know if they have a problem so they can take action to fix it. And as Ms. Ryan points out, learn from this bad experience so you don’t get stuck in a bad boss relationship again.